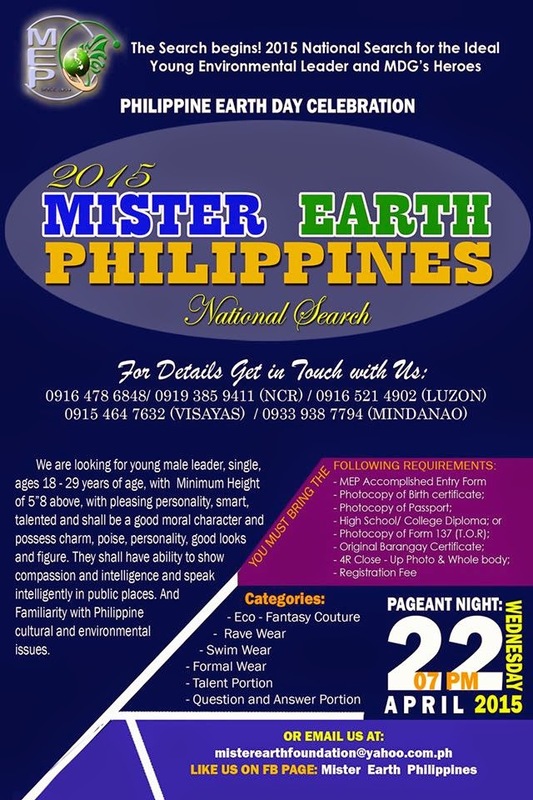 For its first year, the 2015 Mister Earth Philippines will be having its National Search for qualified candidates. The pageant night is slated for April 22, 2015 in celebration of Earth Day. Date of Screenings will be announced soon. For more information and inquiries. Please contact this +63.916.5214902 or +63.917.5225643 or email misterearthphilippinesfoundation@yahoo.com.ph or visit their Facebook Page: Mister Earth Philippines.